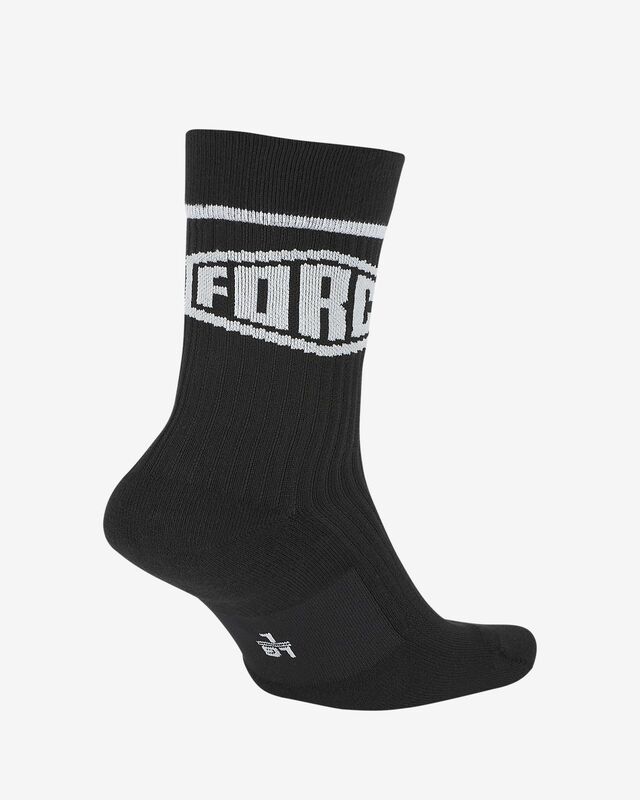 The Nike Force Crew Socks are inspired by Nike's iconic Air Force 1 shoe. They feature premium fabric, cushioning at the toe and heel, and "Force" knit into the side. 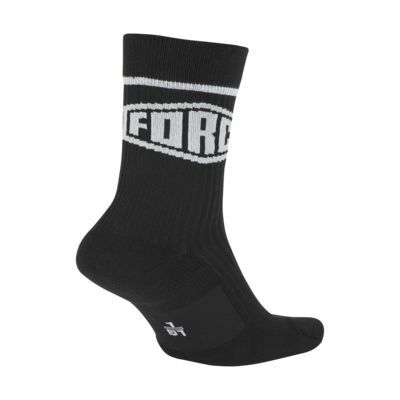 The Nike Force Crew Socks are inspired by Nike&apos;s iconic Air Force 1 shoe. They feature premium fabric, cushioning at the toe and heel, and "Force" knit into the side. Premium fabric has soft durability. "Force" is knit into the side of each sock. Have your say. Be the first to review the Nike Force.